Richard Pask's Checkers for the Novice, the print edition of Logical Checkers Volume 1, is now available from CreateSpace and Amazon, and is also available from Amazon UK and Amazon Europe. The 170 page book has been priced very modestly at US $7.49 (exclusive of shipping). You can download a free PDF version by clicking on the link. 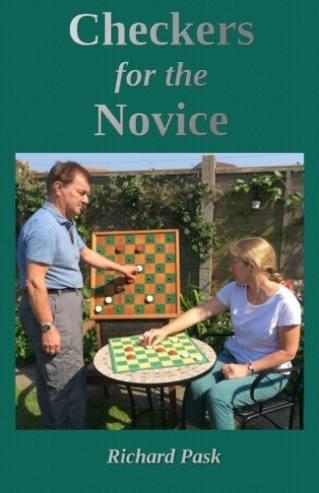 Checkers for the Novice includes substantial corrections and improvements and is the definitive modern guide for newcomers who wish to play checkers well. Amazon lists the book with "Richard Pask, Author" and "Bob Newell, Author." This is incorrect. Richard Pask is the sole author. Bob Newell is the editor and publisher.